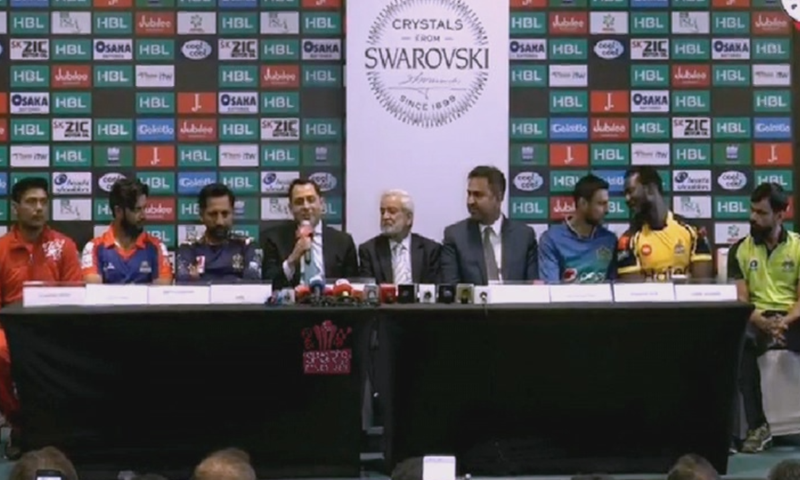 The captains of the Pakistan Super League 2019 and Pakistan Cricket Board Chairman Ehsan Mani addressed a press conference at the Dubai International Stadium on Tuesday. Is the stadium really empty or it appears so? A Real Hero of our PSL is West Indian player and the captain of Peshawar Zalmi. He is really popular every where in Pakistan. So exciting... So interesting... So much show business! Karachi should be lead by Babar Azam. The professor is the one to look out for. I think he will suprise everyone with his captaincy. 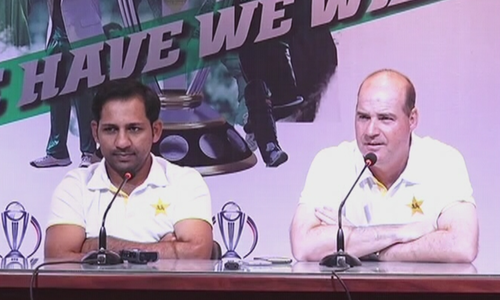 Pakistan Team desperately need some big hitters. Hope PSL-4 will produce some good players. Unveiling should have been in Pakistan. 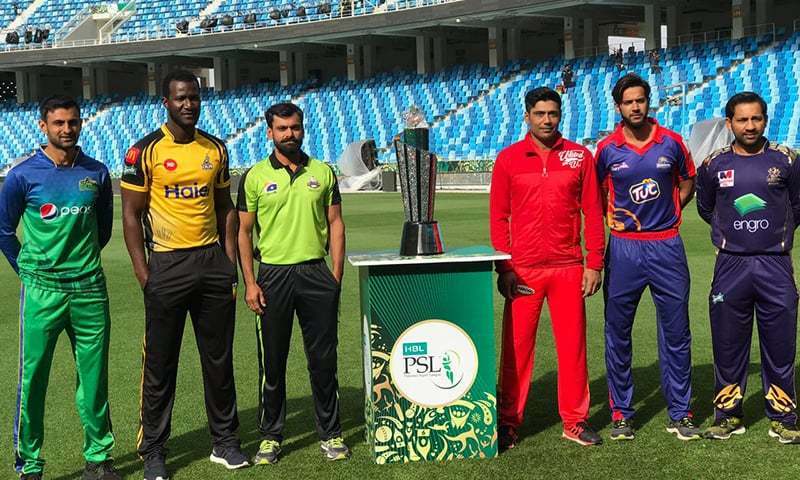 Welcome to the 2019 PSL T/20 International Tournament with exciting, interesting and nail-biting fixtures and matches earmarked and on the trot to take place in the brotherly nation of UAE as well as the "Land of the Pure." Empty stadiums itself shows the ground reality. No matter how much PCB try, it cannot fool the public. PSL should be played in Pakistan and not UAE. @Hwh, c'mon man... It's a media event, not a match. Stop looking for bad things to say. Best of luck for the event. Looking forward to see AB, Babar, Fakhar and Umar Akmal in action. @Vishal, "c'mon man... It's a media event, not a match. Stop looking for bad things to say. Best of luck for the event"
Thanks for nice comments Vishal. If Umar and Sami perform well, they will be a part WC squad or at least play against ENG in ODIs series prior to WC. It’s a shame that inauguration continues outside Pakistan. We claim security has improved and everyone can come but we conduct our own domestic tournament abroad.